Gumbo: Voting in Connecticut: What's in it for me? Voting in Connecticut: What's in it for me? 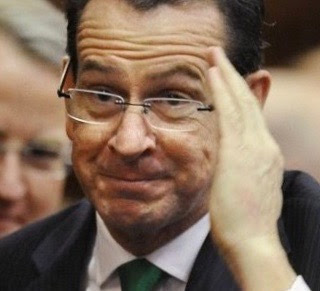 After eight years under the sophomoric leftist and plain stupid Governor Daniel Malloy, Connecticut's economy is in the toilet. Anyone who can is moving out of the state. So what did Connecticut voters do in the last election? They elected another Democrat by a margin of 44,415 votes. Brilliant. In a previous post, I showed how state employees, who through their unions basically control the state, could have produced 252,000 votes for the candidate most likely to continue their gravy train, when retirees and spouses are included. In another post, I asked how many of Connecticut's 108,000 illegal residents voted. What do you think? 44,415? Not all welfare recipients vote, and not all vote for Democrats, but pick a number from those above and compare it to the election margin of 44,415. We have 252,000 state employees and spouses, 108,000 illegal residents, and 400,000 peopl eon food stamps. That's 760,000. Out of the total of 1,406,803 people who voted. Reduce those special interest group numbers by half. We still have 380,000 people who have a financial interest in a generous state government. Everyone votes his pocketbook.